This pocket book is written primarily for doctors with little or no experience in the accident and emergency department and who are faced with the problem of radiological interpretation when no other help is readily at hand. Step-by-step methods for the assessment of radiographs help to answer the question `these look normal to me, but how can I be sure that I am not overlooking a subtle but important abnormality`. The book is liberally illustrated with high quality, well-annotated radiographs which assist the reader in the interpretation of abnormal/normal radiographic appearances. The focus is on common areas of injury with the emphasis being placed on the detection of those abnormalities that are most commonly overlooked or misinterpreted. 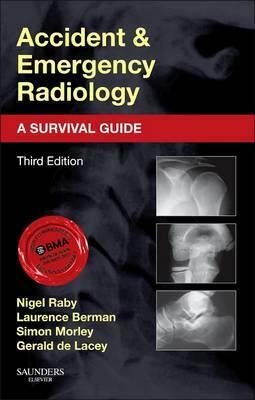 Each chapter deals with the basic radiographs required, important anatomy, normal variants, a system for inspecting suggested views, types of injury and ends with a summary of key points.